any associated written or multimedia components or other enhancements accompanying the Work. This agreement is to be signed by at least one of the authors who have obtained the assent of the co-author(s) where applicable. I/We here by declare that the material being presented by me/us in this paper is our original work, and does not contain or include material taken from other copyrighted sources. Wherever such material has been included, it has been clearly indented or/and identified by quotation marks and due and proper acknowledgements given by citing the source at appropriate places. The paper, the final version of which I enclose, is not substantially the same as any that I/we have already published elsewhere. 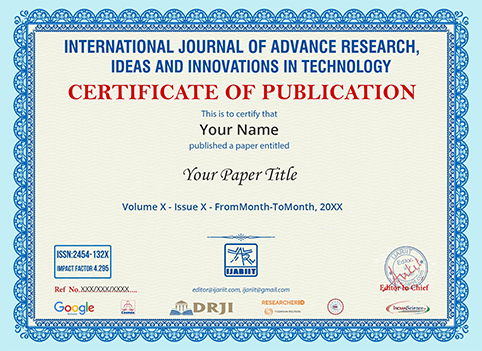 The submitted/enclosed paper is thoroughly proof read by me and in conformity with the instructions to authors communicated to me (as per IJARIIT submission guidelines at http://www.ijariit.com). The undersigned agrees to indemnify and hold harmless IJARIIT from any damage or expense that may arise in the event of a breach of any of the warranties set forth above. In the event the above work is accepted and published by IJARIIT and consequently withdrawn by the author(s), the foregoing copyright transfer shall become null and void and all materials embodying the Work submitted to IJARIIT will be destroyed. broadcast, reproduce and archive, in any format or medium, whether now known or hereafter developed. 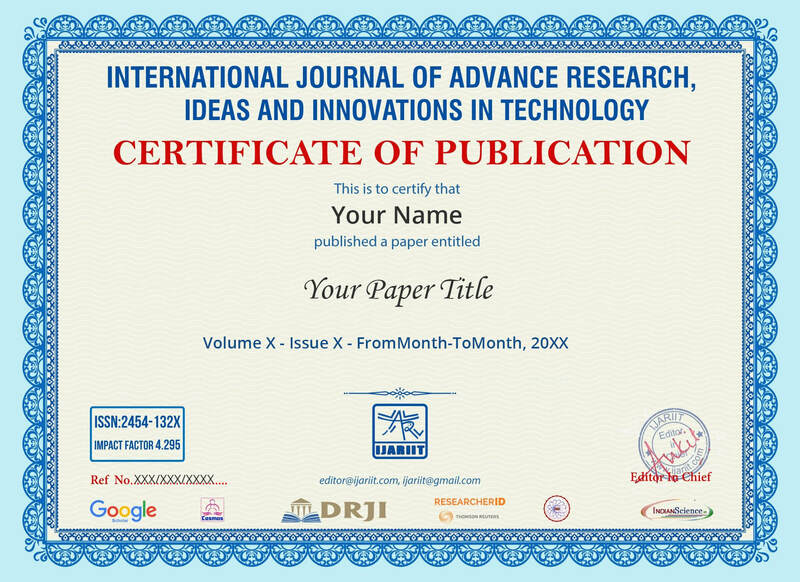 For authenticity, validity and originality of the research paper the author/authors will be totally responsible.